Based in Warwickshire and Running Classes in Leamington Spa, The Nikki Jay Academy Of Dance is Celebrating 21 Years this Year! We offer Dance Classes in IDTA Ballet (Inc. Pointe & PBT), Tap, Street, Gymnastic Dance, Adult Tap and Ballet, Adult Fitness Class- Dance Fit as well as an invite only class for our ‘Gifted & Talented’! The International Dance Teachers’ Association is one of the world’s Largest Examination Boads, covering the full spectrum of dance examinations on a Global Scale, with over 7,000 Members in 55 Countries, which makes us The Best Choice For Your Child. The Board a School is with really is important when choosing classes. We Cater for All Ages, Ranging from Toddlers aged 2yrs right up to Adults, and hold IDTA Exam Sessions with 100% Pass Rate as well as giving our Pupils chance to Appear in Academy shows, Local shows and Professional Pantomimes! 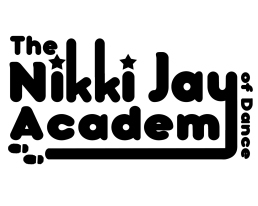 So whether you are looking for a Hobby for your Child, a way to keep them Fit and Active or for a Career in Dance, The Nikki Jay Academy Of Dance offers it all! We challenge our Pupils to Work Hard and know that they leave with the same Passion for Dance as the one that made me become who I am today. The Qualifications all Pupils at The Nikki Jay Academy Of Dance Achieve during their time here are recognised by The Qualifications and Curriculum Authority (QCA) and can lead to points for University. At The Nikki Jay Academy Of Dance we Welcome Boys as well as Girls and also Children With Special Needs as we believe Dance is a fantastic Medicine. Our Pupils and their families become Friends for life and this is something we pride ourselves on. We are now at the stage where we are starting to give past Pupils Wedding Dance classes, attending their weddings, Teaching Past pupils Children and have Pupils who are at uni asking to return when they have finished! We make memorable NJA moments our pupils will remember forever, so much so that they want it for their own children. We dont teach Dance, we make Dancers!